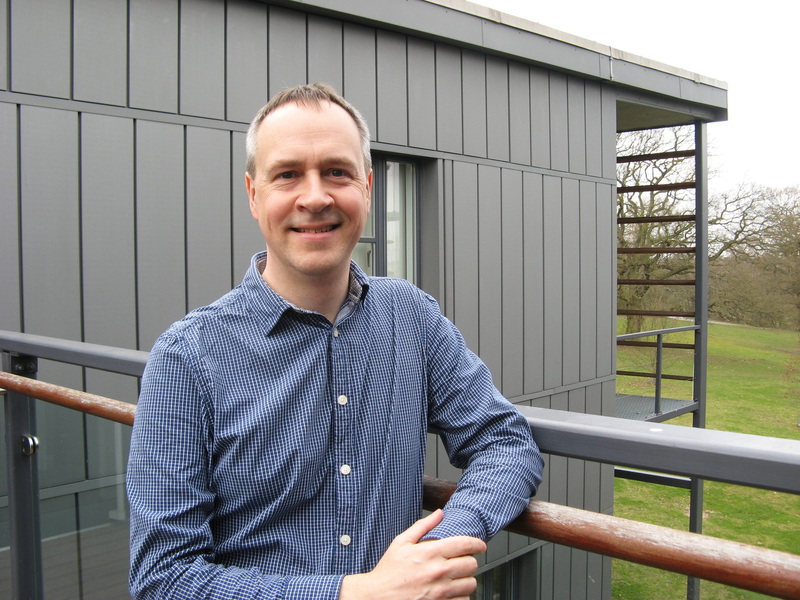 I am Tim Rakow, and I have been teaching and researching in the Department of Psychology at the University of Essex since 2000. Much of my teaching focuses on methods for psychological research. I particularly enjoy teaching statistics to psychology students, and have – over the years – taught statistics at each level of our undergraduate and postgraduate programmes. I have worked my way around a number of different JDM research topics over the years: from a PhD on medical decision making in paediatric heart surgery; via research on probabilistic inference from cues (e.g., Take The Best), and the deliberation-without-attention effect; to recent investigations of valuation, risk communication, and risky choice (especially decisions from experience). I have attended each SPUDM since 1999. What do you consider your most important research tools on your computer? Probably Real Studio (for Real/Visual-Basic), which I use to implement most of my computer-based studies. I see myself as more of an experimenter than a theoretician, so having a nice flexible tool that I can use to run a wide variety of studies is essential to my research. Do it with someone else. I see a number of benefits to this. First, I feel that I get more done when working to deadlines agreed with my co-authors than when working to deadlines that I set for myself on individual writing projects. I think this tells me that anticipated guilt is a better motivator than anticipated self-loathing. Second, the emotional component of writing (responding to reviews, making that difficult cut to the text) becomes much easier when there is someone else who on the project who can adopt a different role, or see things from a different angle. Third, writing with others just makes the whole process more interesting, and more fun. I’ve learned or developed some of my favourite paper-writing words (“prosaic”, “intriguing”), phrases (“in doing so” is a new one for me) and sentence constructions (I love using first-person plural) from writing with others. Some of my favourite writing experiences are when I get to write alongside a co-author (at the same computer). In particular, a few of my projects with long-term collaborator Ben Newell have been completed this way … gently wrestling the computer mouse and keyboard from each other, or dictating small sections of text to one another … turning what could be a rather solitary endeavour into something more sociable is a treat. You can learn a great deal from your co-authors, and I certainly feel that they need not be senior to you for this to be so. Rakow, T., Demes, K.A., & Newell, B.R. (2008). Biased samples not mode of presentation: Re-examining the apparent underweighting of rare events in experience-based choice. Organizational Behavior and Human Decision Processes, 106, 168-179. I am a psychologist at the University of Erfurt where I work at the Center for Empirical Research in Economics and Behavioral Science. My current major research motivation is to enlighten vaccine hesitancy – i.e. to understand why people do not vaccinate and finally to contribute to public health goals such as measles elimination. Additionally, I would like to improve evidence-informed health communication. I do this by applying an experimental JDM approach, combined with a strategic interaction perspective to basic and applied questions. My credo is that good research strives for a fundamental understanding of scientific problems and, at the same time, for high usability to solve societal problems. This perspective on research is also known as Pasteur’s Quadrant (really interesting work by Stokes, 1997). Thus, making contributions to understand basic questions is as important to me as making findings usable for practice. Working with colleagues from other disciplines and health organizations is key to me, as my work combines ideas and approaches from psychology, epidemiology, and economics. Safari, Word, SPSS – very simple. Email is great to be in touch with co-workers, but it is the greatest enemy of effective working, too. Sometimes I also follow twitter – it’s a great way to see what happens among practitioners, but actually I feel that it is too time-consuming. Talking and listening to practitioners has become my most influential, favorite, important, and fun research tool. Listening to what practitioners struggle with and mapping this to my theoretical ideas and understanding is very inspiring and has created some successful research ideas. I get the chance to listen to practitioners after invited talks or advanced trainings of doctors, or during my work in committees such as the European Technical Advisory Group of Experts in Immunization (ETAGE, WHO, regional office for Europe) or the National Verification Committee for the Elimination of Measles and Rubella (Robert Koch Institute, German Ministry of Health). Turn off your email program. Or travel. Airports, trains, waiting rooms are perfect – you will not miss out on anything sitting there, listening to Bach, writing. I recommend Bach’s Goldberg Variations – they deliver a constant flow for a steady rhythm of typing and mask superfluous noise and thoughts. Betsch, C., Böhm, R., & Korn, L. (2013). Inviting free-riders or appealing to pro-social behavior? Game theoretical reflections on communicating herd immunity in vaccine advocacy. Health Psychology, 32(9):978-85.